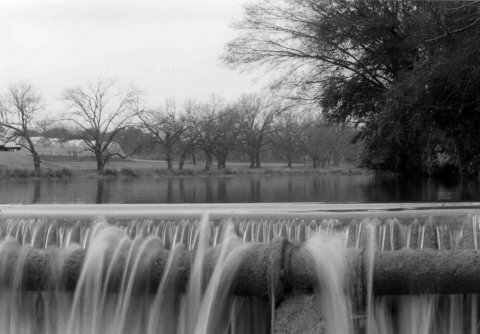 Water is shown (in black-and-white) falling within MCKINNEY FALLS STATE PARK located in the Hill Country of Texas, just south of Austin, Texas. 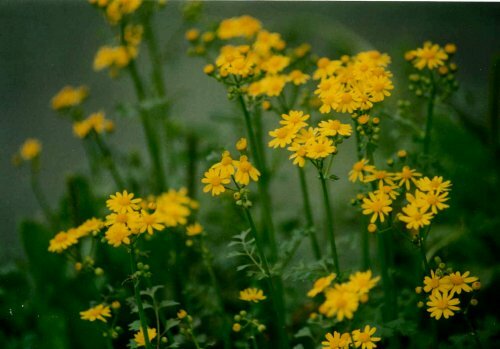 Flowers are shown within BRAZOS BEND STATE PARK located in southeast Texas, south of Houston, Texas. 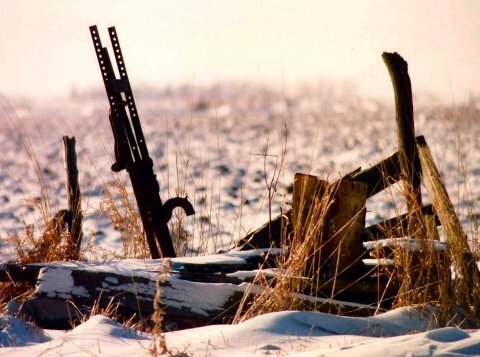 A cold, wintery day on the back roads of central ILLINOIS is shown. Mission San Antonio de Valero that was established by the Spanish in 1718 at an Indian village is shown. 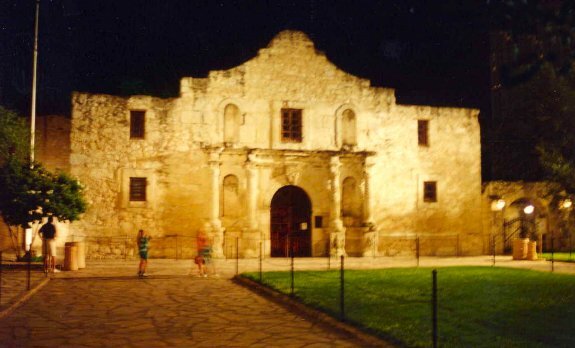 It was later renamed THE ALAMO, becoming known as the 'Cradle of Texas Liberty'. The Alamo is the first of five Spanish missions founded in San Antonio, Texas. The Spoon River during Spoon River Scenic Drive. 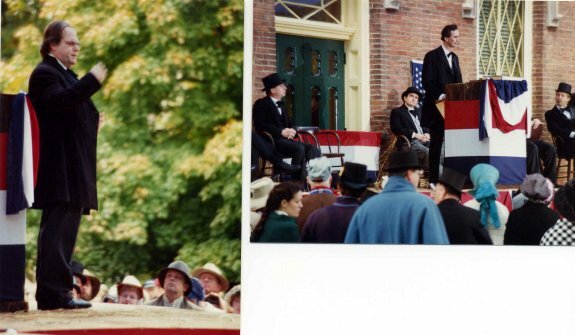 A re-creation of the LINCOLN-DOUGLAS DEBATE is shown. 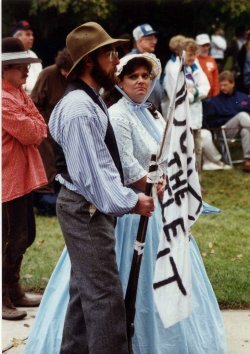 the original debate occurred in Galesburg, Illinois, in 1858 on the east side of East South Street between Cedar and South Cherry Streets. This location in Galesburg has the only remaining structure from the original debates. 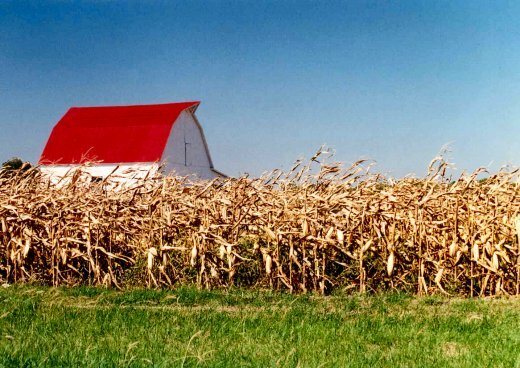 A RED BARN is shown near a corn field in rural MCDONOUGH COUNTY of west-central Illinois. 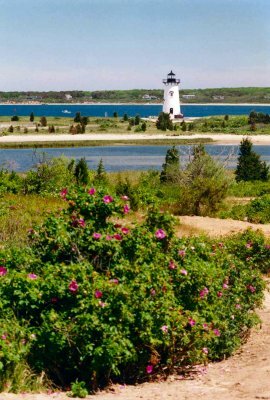 The EDGARTOWN LIGHTHOUSE is shown standing on Little Beach, west of the town of Edgartown, Martha's Vineyard, Massachusetts. The Island's first colonial settlement was born in 1642 and incorporated in 1671, while the original lighthouse was built in 1828 in order to guide ships through treacherous waters that saw more sailing ships than any other place in the world except the English Channel. 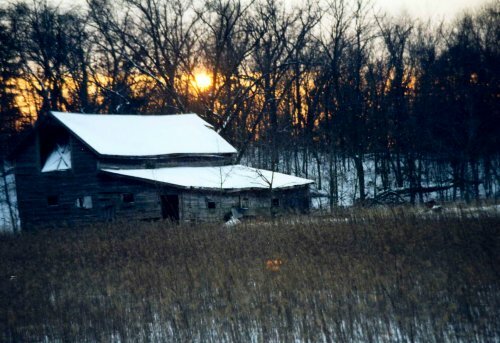 A snow-covered barn is shown standing in a clearing surrounded by a cluster of trees with the setting sun peeking through the branches. 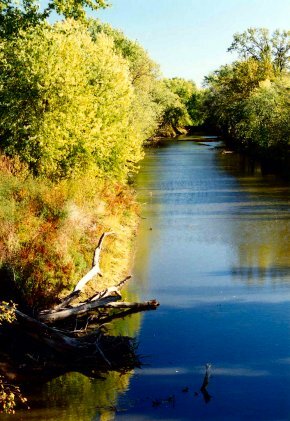 The photograph was taken along the GREAT RIVER ROAD that meanders along the Mississippi River in northwestern Illinois. 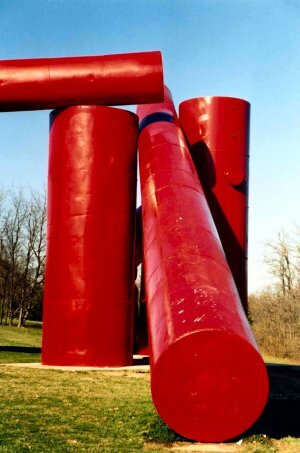 Red tubes within LAUMEIER SCULPTURE PARK & MUSEUM in St. Louis, Missouri is shown. Laumeier is one of the major sculpture parks in the United States. 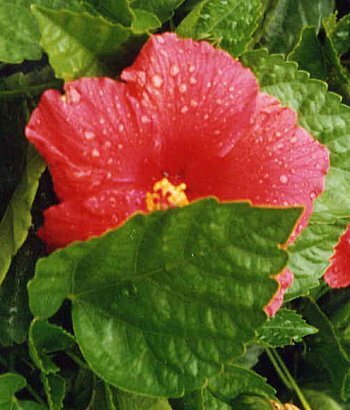 A BEACH ROSE is shown half-hidden by a leaf at a nursery on MARTHA'S VINEYARD off the coast of Massachusetts. 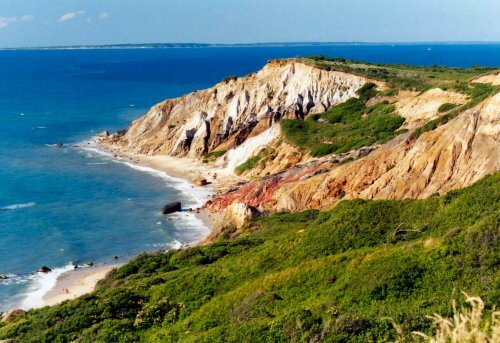 The red and black and white colored clay cliffs is shown at GAY HEAD, near the westernmost town of Aquinnah on Martha's Vineyard, Massachusetts. The spectacular cliffs rise high above the blue-green waters of Vineyard Sound. The Native Americans that settled the area called it the Meadow Under the Hill. 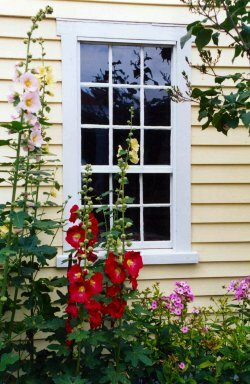 Colorful flowers are shown growing outside the Fenno House at OLD STURBRIDGE VILLAGE, a 19th-century re-created New England rural town and neighboring mill. The countryside near Sturbridge in south-central Massachusetts includes restored buildings, shops, and farms from across New England as well as some authentic reconstructions from the 1820s and 1830s. 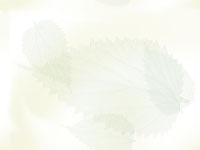 The nonprofit, educational community is the largest outdoor history museum in the Northeast. 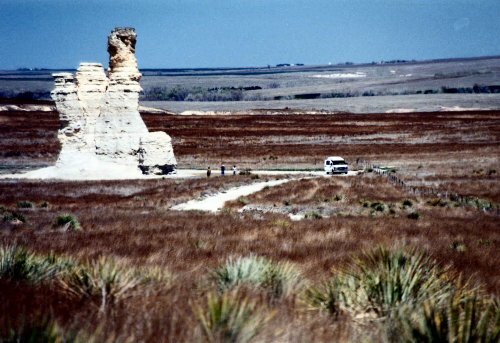 CASTLE ROCK is shown, which is located just south of Quinter, Kansas (exit 107 on I-70 in west-central Kansas). Millions of years ago this area was covered by the Chalk Ocean. The uplift of the Rocky Mountains, about 60 million years ago, was largely responsible for the final retreat of the waters from Kansas. The eroded chalk pinnacle rising from the prairie is a formation left from those times. In June 1865 Lt. Julian Fitch named Castle Rock while surveying a trail for the Butterfield Overland Dispatch. During the westward pioneer trek, Castle Rock became a beacon welcoming travelers toward their final destinations." GARDEN OF THE GODS, a 1350 acre park located within Colorado Springs, Colorado at the base of the Pikes Peak region, is shown. 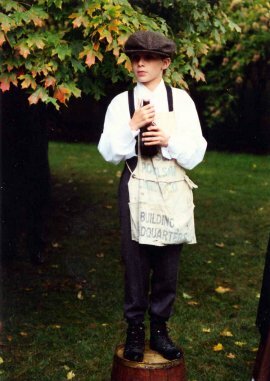 Dedicated in 1909 as a free city park, the Garden contains an abundance of plant and animal life, as well as the magnificent red sandstone rock formations that are over 300 million years old. 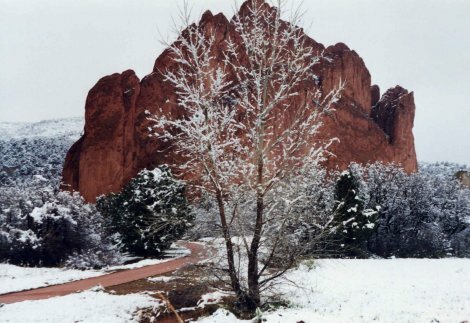 The park is especially beautiful after a heavy snowfall where white snow falls on green evergreens with red rocks standing in the background of a blue sky." The waters of the Menemsha Pond is shown with houses of the town of CHILMARK off in the distance, with all on the island of Martha's Vineyard that is located off the coast of Massachusetts. 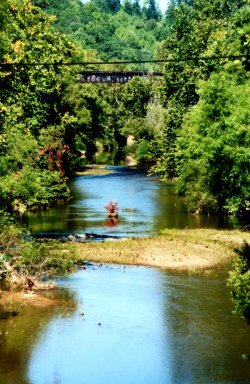 The Rockfish River is shown as it meanders near Schuyler, Virginia, which is located south of Charlottesville, Virginia. Shuyler, Virginia is the hometown of Earl Hamner, the creator of the television show The Waltons. 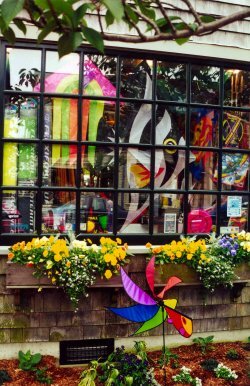 A colorful retail store on NANTUCKET ISLAND is shown. 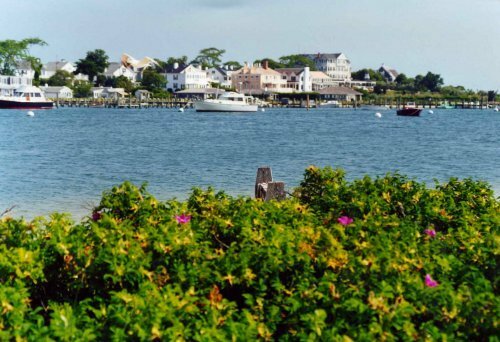 Nantucket Island is located off the coast of Massachusetts near the island of Martha's Vineyard. 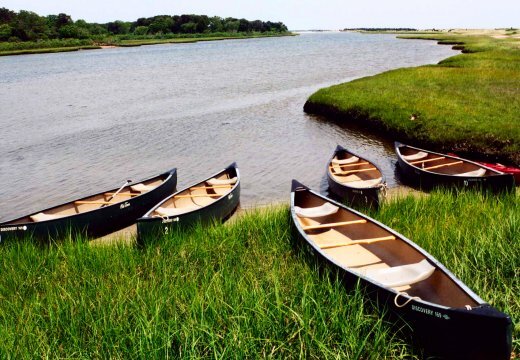 Canoes along the shore of CHAPPAQUIDDICK ISLAND are shown near Cape Pogue Wildlife Refuge. The well-known Chappaquiddick Island is located just east of Martha's Vineyard. 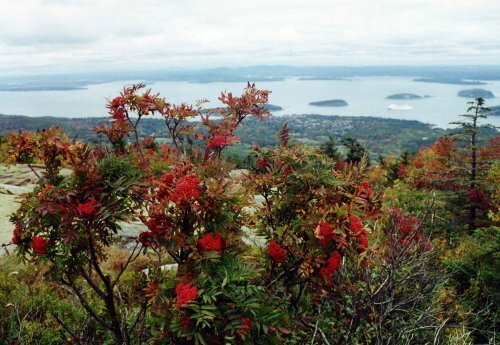 The beautiful landscape is shown from ACADIA NATIONAL PARK, which is located along the central coast of Maine. 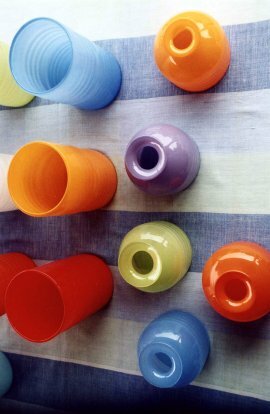 Colorful vases are shown from Nan Bacon of VINEYARD VASES on Martha's Vineyard. Another popular name on the island is The Black Dog. 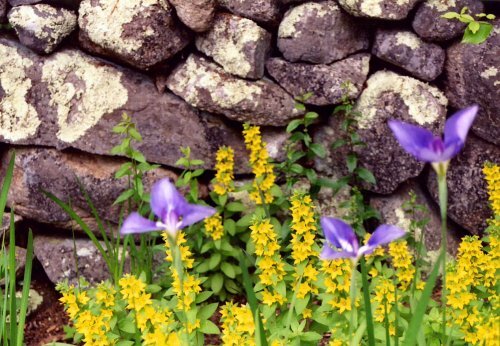 Pretty flowers with a old stone wall backdrop are shown at POLLY HILL ARBORETUM on Martha's Vineyard. 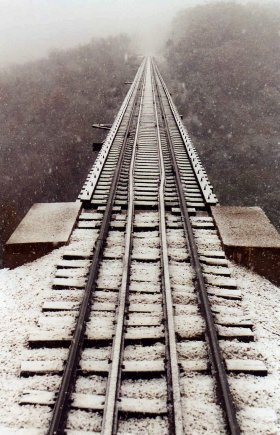 An old locomotive and train is shown crossing the tressle as part of the BOONE AND SCENIC VALLEY RAILROAD in Boone, Iowa, located just west of Ames, Iowa in the central part of the state.